While i agree BMW is going overboard with their lineups but a lot of their models/trims are created for the sole purpose of market share against Audi and Mercedes. I guess when you are that big, you compete to compete, not really to make $$ (think X4 and 3GT, 5GT and etc...) and 2 series Gran Coupe is made for CLA and the new M5/M6 will go AWD only because now E63s are 4matics. Whenever there is a new model introduced by any of them, the other 2, Audi is little more diciplined, will answer. Audi is bring over its A5 sportback just to compete with 4 series GC and it is just a matter of time the C class will have its shootingstar or some kind of 4 door coupe. 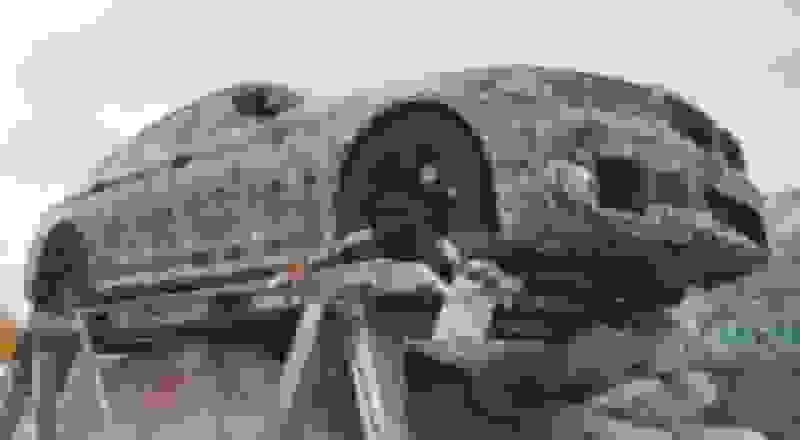 Last edited by oonowindoo; 06-21-2016 at 01:06 PM. Right now the only BMWs I want are the M2 and M6 GC. 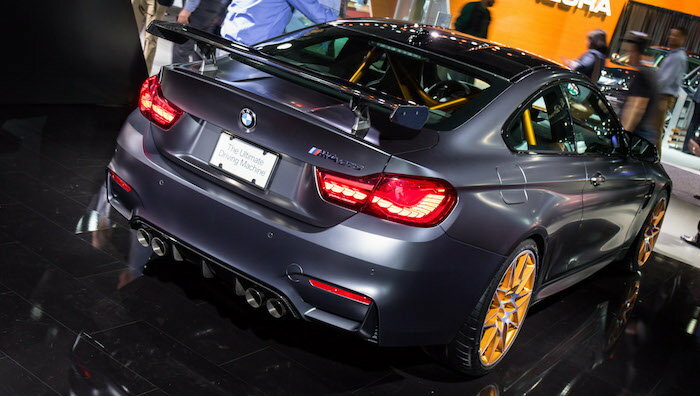 M6 is way too expensive so I am on the waiting list for M2 but trying to hold out until the competition package hits. I don't need a sedan and the GTS will be expensive with an ugly (but functional) wing on the back. So no. it is not a sedan. It is coupay. Gran Coupay! 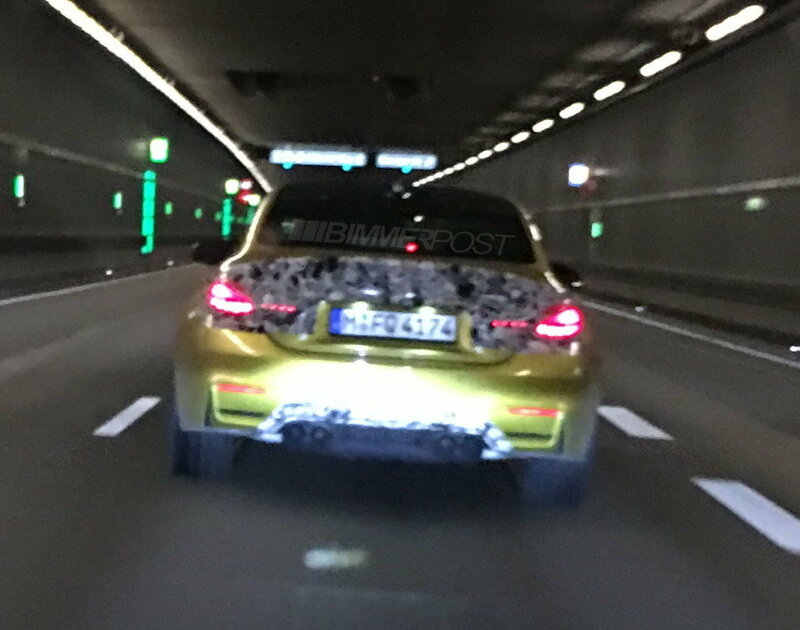 This G20 3 Series prototype has been spied wearing the same production LED headlights, tail lights and camouflage as the last sighting, but it provides us the most revealing look at the interior yet. 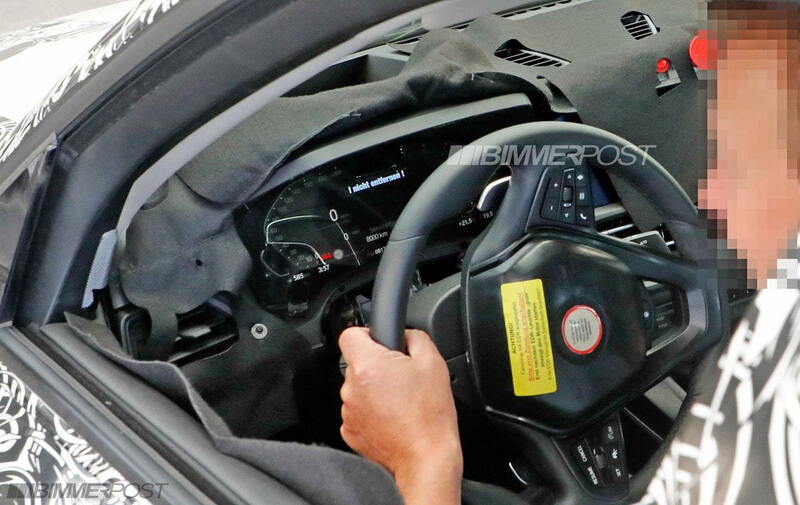 Seen for the first time is the full digital instrument panel and the new style shifter fashioned after the new F90 M5 shifter. The center air vents have been lowered, new air vents sit atop the dash, iDrive control knob moved forward, and new angular door handle pulls. The lowering of the center air vents also lowers the position of the iDrive screen (perhaps for a more integrated look) as well as allowing for air vents to be added to the top of the dashboard. And if that's the edge of the iDrive screen we see extending all the way to the gauge display hood, then expect a much larger screen than the current version. 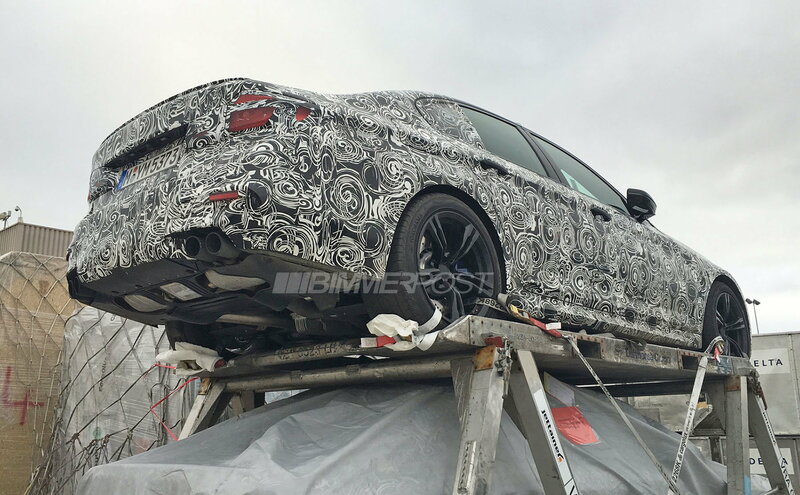 According to our future models crystal ball, the 2019 3 Series (G20) will come to US as 330i, 330e and M340i (in choice of sDrive or xDrive for all models). The B48TU engine that will power the 330i will receive a small power increase to 255hp. The G20 will come with a host of cool toys. The instrument panel seen in these photos is the same one from the upcoming 8 Series, a special differential will be included with the M Sport Package, ambient light, laser lights (even for US cars), significantly improved autonomous driving capabilities, remote engine start, and much more. As an update to this I did drive the M2 but things didn't work out with the dealer. I think the E46 M3 and M coupe are more fun with the naturally aspirated engine but if you want new tech and safety features it's a good deal at MSRP. well almost all BMW owners agree that E46 M3 is more fun... but cars like that dont exist anymore.... unless you are willing to buy used and questionable reliability. BMW has never made any secret that it wants to be a trailblazer and a leader when it comes to electric cars. In 2013, when other manufacturers were agonising over whether to introduce a hybrid or two, it launched the all-singing, all-dancing, carbon-fibre-slathered ‘i’ sub-brand. It was a hefty gamble, and while sales have been modest, the learning curve has been steep. Four years on and with the electric revolution gathering pace, BMW has gathered its experience and put together a shiny new e-mobility plan. The principle is simple: to make any real money, you need to cut costs, and for EVs that means avoiding bespoke platforms and bespoke production lines. So, starting in 2021 with the production version of the Vision Dynamics concept (pictured above - nicknamed i5, designed for speed but with a 600-700km range) and the iNext (a separate pure-electric ‘i’ car, bodyshape unknown, the focus more on autonomy) almost all BMWs, whether SUVs or saloons, whether sporting a combustion engine, a plug-in hybrid, or fully electric, will be built on the same scalable, modular architecture. Still with me? Good. The ‘i’ family will continue to offer BMW’s most radical design, bodyshapes and thinking, but unlike the bespoke i3 and i8, the platform and drivetrain underneath will be identical to all future electrified versions of the ‘standard’ range. The fact is that BMW has no idea how the mix of combustion engines, plug-in hybrids and full electric cars is going to fluctuate in coming years, but this way it doesn’t matter. If the demand for one type suddenly rockets - due to new legislation for example - then they simply crank out more of those. Using this principle BMW says it’ll have 25 electrified cars (plug-in hybrid or full EV) in the range by 2025. Currently it has seven. Let’s focus on full EVs for a moment. 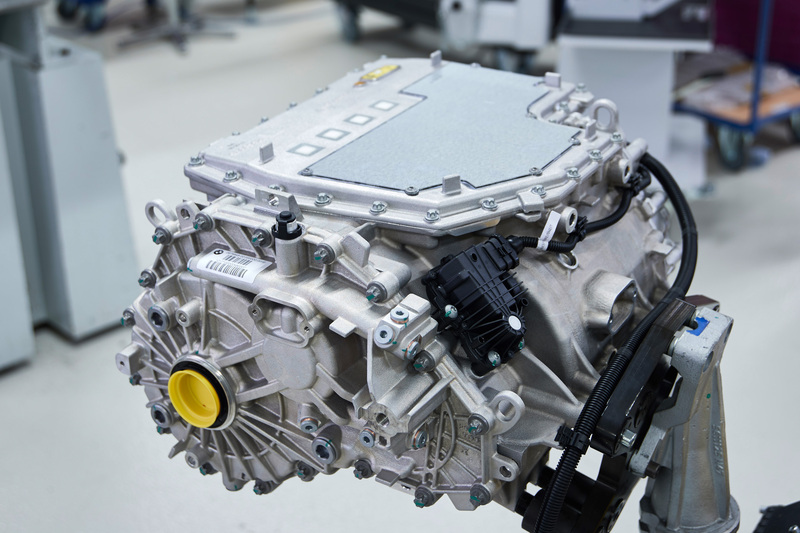 From 2021 onwards the motor, gearbox and power electronics will be all housed in a single, lighter, smaller unit, while the entire EV powertrain architecture is modular. Think of it like a pick ‘n mix tool box consisting of charging units of increasing power, electric motors of increasing power (from 100kw to over 300kw), two battery modules (a thicker one for SUVs, and a flatter one for saloons and coupes), and a choice of lithium-ion cells you can slot into the modules (from most cost-effective, to performance applications). From there you can build any type of EV you like. For smaller, entry level cars a single 100kw motor on the front axle and a modest-sized battery should do it. Want more power, range and four-wheel drive? Simply lengthen the battery module, add a couple of 200kw electric motors at the back and another 200kw motor at the front, and you have something with circa 800bhp, four-wheel drive, 0-62mph in less than three seconds and an attractively low centre of gravity. What body you place on top is up to you. Meanwhile battery performance is on a positive trajectory, says Andreas Raith, BMW’s head of battery tech. In terms of energy density he claims there’s another 80 per cent to come from lithium-ion before we need to change tack. Beyond that, solid-state batteries (still lithium-based, but no liquid electrolytes) are on the horizon, offering a further 50 per cent jump in energy density, once they figure out how to make them work in a car. From 2021 onwards it’ll no longer be about seeing plug-in hybrids and full EVs as different and exotic. Whichever BMW you fancy – be it a 3 Series saloon, X5 or 6 Series Coupe, eventually you’ll have the choice to go full electric, a half-way house plug-in or stick with good old fossil fuels. That’s how you bring costs down, that’s how you bring EVs kicking and screaming into mass production and that’s how you give the customer exactly what they want. The principle is sound, so all that’s left is for BMW to pull it off. Sometimes I wonder if the best route is just to make an electric 3 series and get the driving dynamics right, then just completely replace the traditional 3 series. 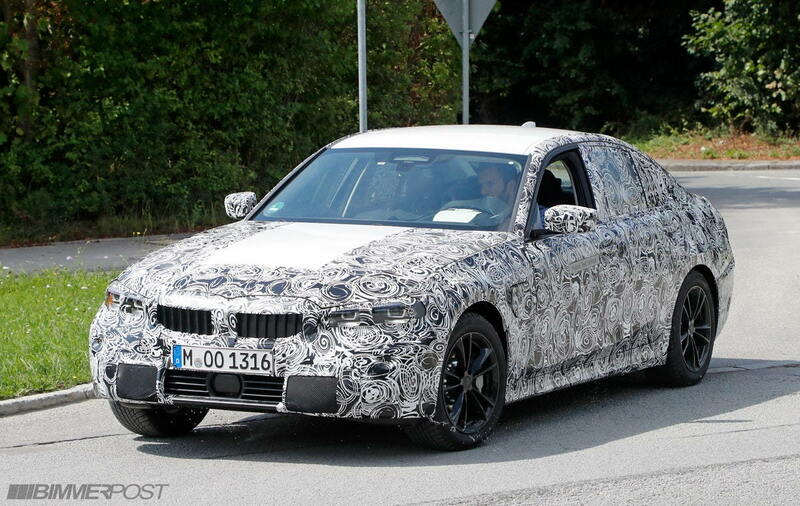 For better or for worse, this is most likely going to be the future of the 3-series, if not most or all cars entirely. EV hype - don't believe the hype. It's going to happen. Not if but when. BMW is currently working on its fifth generation electric powertrain technology and it arguably represents the biggest change in electric motor and battery technology for the German automaker since the launch of the BMW i3 in 2013. We took a closer look at their upcoming new technology this week. BMW invited a group of American and Canadian reporters, including myself, to take a trip to Munich to talk to the leaders of their electric programs and give us a better understanding of the automaker’s electrification plans. On that front, it was a success because I did gain a much better understanding of BMW’s approach to electrification. I will go into more details about the plan and the logic behind it as well as my take on it in a post that will follow this one soon. But for now, this post is only about BMW’s fifth generation electric powertrain. We already knew a bit about it, but we now got a much closer look after visiting their prototyping lab in Munich and also some time with the company’s people who are developing the technology. 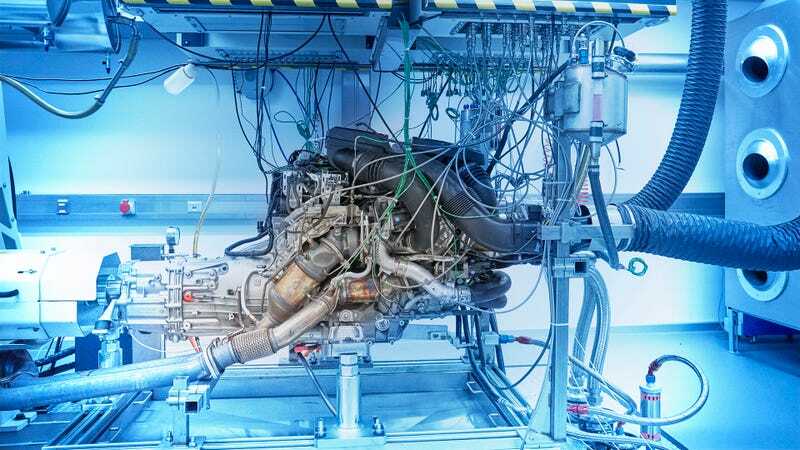 BMW’s fifth generation electric powertrain technology is going to enable the company’s first long-range electric vehicle. It features more integrated, powerful, and yet compact drivetrain and battery packs with higher energy capacity. Today, BMW’s biggest battery pack is the i3’s 33 kWh pack, but the fifth generation technology will include battery packs with more than twice the energy capacity. 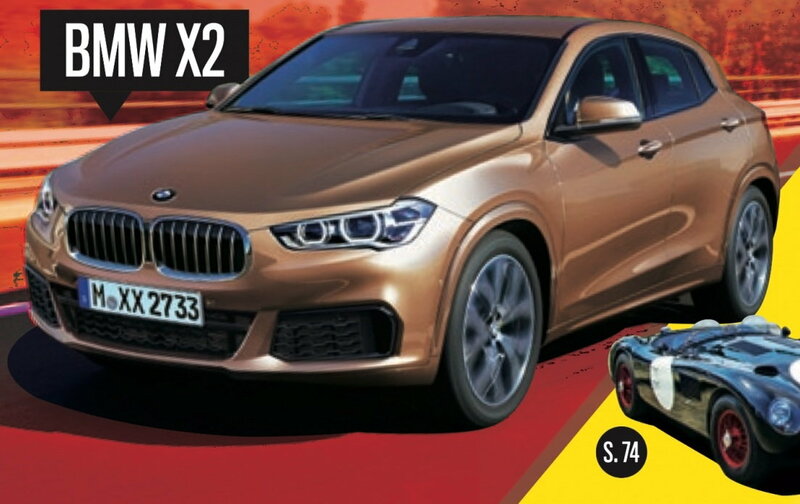 The BMW iX3, which was unveiled in China earlier this year, is going to be the first vehicle to feature this new powertrain. It was already announced that the electric SUV will feature a 70 kWh battery pack. In the basement of a prototyping lab in one of BMW’s many facilities in Munich, the automaker showed us an “early prototype of the battery pack”, but we weren’t able to take pictures of it. Unsurprisingly, they went with a skateboard-like platform, which has somewhat become the standard for bigger battery packs over the last few years. They appear to still be experimenting with battery module configurations as the packs that we saw, both an iX3 pack prototype and an iNext pack prototype, looked fairly rough. One thing is clear, the new battery modules will be made of li-ion prismatic battery cells. I asked Stefan Juraschek, BMW’s head of electric powertrains, about the decision to go with prismatic cells. The engineer explained that they considered cylindrical and pouch cells but they see advantages building modules for prismatic cells when it comes to things like cooling and manufacturing. It is becoming the standard in electric vehicles from legacy automakers. Only Tesla and a few new EV startups are venturing into using cylindrical cells. 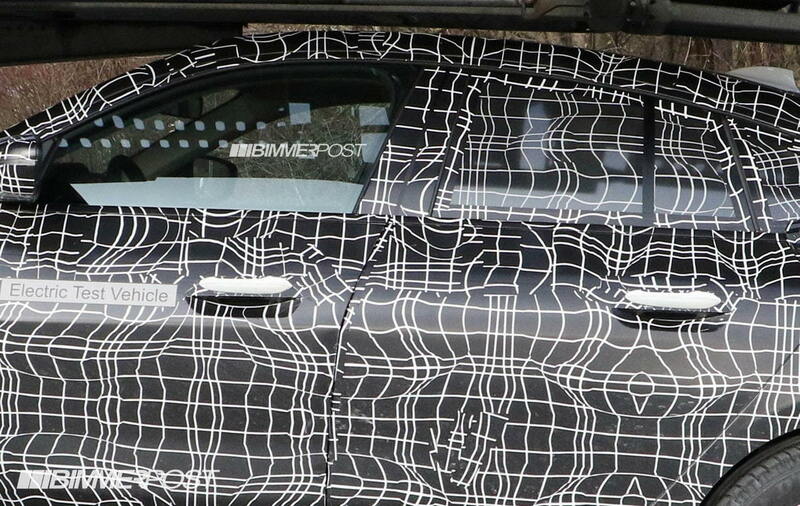 BMW is already using Samsung 94 Ah prismatic cells for the BMW i3. The automaker’s PHEV vehicles also use the prismatic cells. While they are sticking to the prismatic format, they are experimenting with different sizes and chemistry. For now, they are sticking to lithium-nickel-manganese-cobalt-oxide NMC. The company has expressed concerns about cobalt supply and during the tour of the lab, they briefly mentioned ambitions to reduce the use of cobalt in their battery cells. The company expects that energy density is going to increase by about 5% per year over the next decade. The prototyping line is capable of making about one thousand cells per year, which is enough to make several prototype battery packs. Juraschek explained that they want to gain an expertise in battery manufacturing and chemistry in order to work more closely with battery makers. BMW executives often emphasized that battery cells are a critical part of the automaker’s electrification plans. But when I asked if they would make the jump to manufacturing their own cells, they said that it is a big commitment and Juraschek added that they wouldn’t want to upset their suppliers. One thing that BMW has no issue bringing in-house is electric drivetrains. 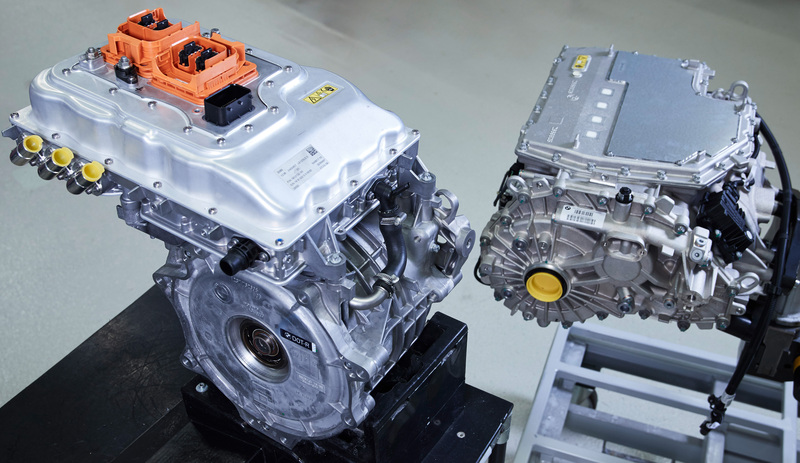 For the fifth generation, BMW is moving away from permanent magnet motors and integrating the electric motor inside the drive unit to create one entire compact system. Juraschek said that they can pull as much as 250 kW at peak output from this relatively small electric machine. 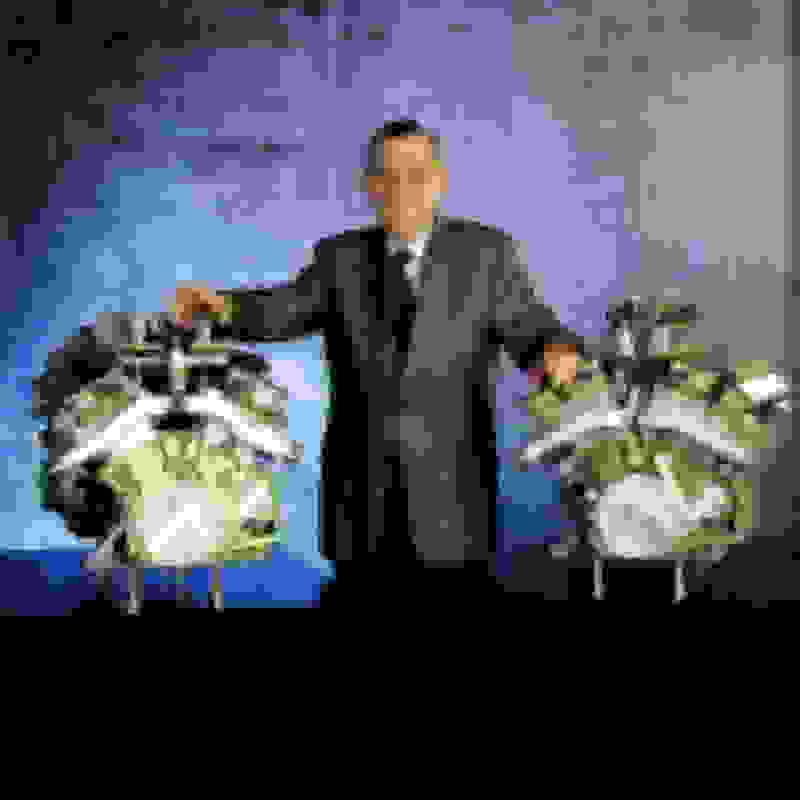 BMW claims to have made several innovations with this motor including with the more compact and easier to manufacture coil system seen in the pictures above. The automaker plans to use the drive units in a variety of different powertrains from PHEV to BEV including single and dual motor configurations. It will first make its way to the BMW iX3 in 2020, along with the previously mentioned new battery pack technology powered by the latest cells developed with the German automaker’s suppliers. The i3 and i8 structure won’t be repeated. If you want to buy a new carbon-fiber BMW, then don’t delay too long in realizing the dream; the i3 and i8 look set to be the last of the company’s products to feature carbon-fiber structures. The iNext—which is going to show BMW’s expertise in both electrification and high-level autonomy—will be based on the company’s new Fifth Generation architecture when it arrives in 2021. That means it will need to share a metal structure with its numerous platform buddies. There is still plenty of carbon componentry in BMW’s future, including body panels and even structural components. The company is rightly proud of its expertise in producing carbon parts in relatively high volumes. But the extra weight saving of the i3’s innovative carbon monocoque will no longer be necessary. Higher production volumes are another reason to abandon carbon fiber. BMW’s i3 sells in small numbers compared to the company’s more mainstream models; just 31,482 were built in 2017. 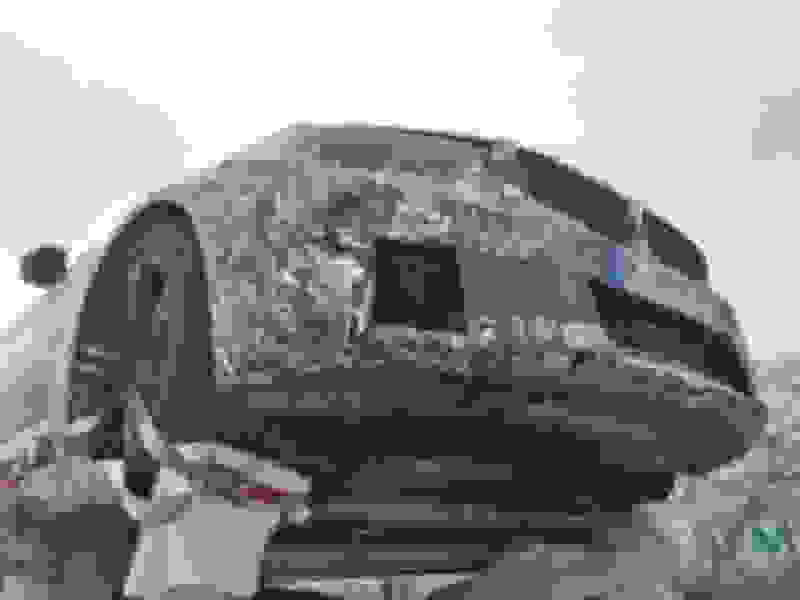 The iNext will be built at the company’s Dingolfing, Germany, plant on the same production line as the brand’s conventional models and with the same 60-second cycle time between the different workstations, something a substantially different carbon-fiber structure would make almost impossible. Thought I'd get in here now as a new owner of a 2015 X5 35i. Also my first BMW experience. Car is amazing so far. Could not be happier. ^this is the wrong place to make that announcement. Create a new thread or the General car talk thread... let others know that we got more cucks in the house!! And if you drive an S5 [coupe]*, you are considered to be Cuckzilla, the original cuck master. It seems just about every European automaker is readying a Tesla Model 3 fighter at the moment, and BMW is no exception. 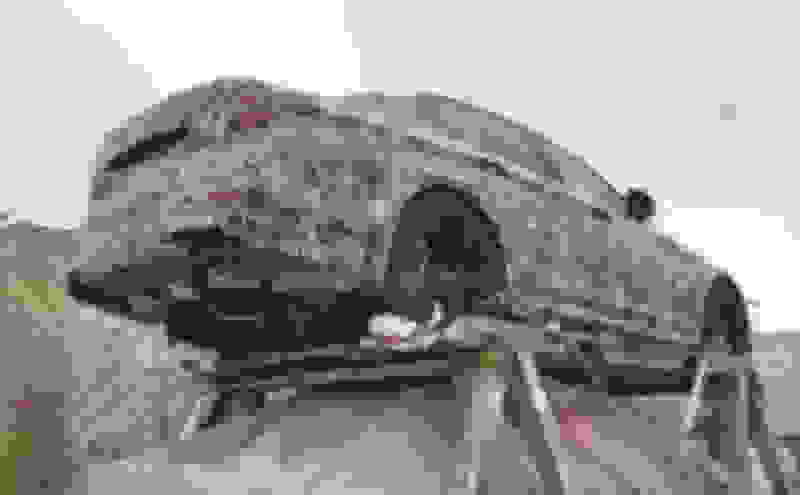 Tipped to be badged as the i4, the Bavarian Tesla Model 3 has been spotted with heavy camouflage in recent days, about a year and a half after an electric sedan was previewed at the 2017 Frankfurt motor show in the guise of the i Vision Dynamics concept. While the awkwardly named i Vision Dynamics concept sported some adventurous bodywork, looking like a background prop from "I, Robot," the prototypes that have been spotted testing look anything but adventurous. 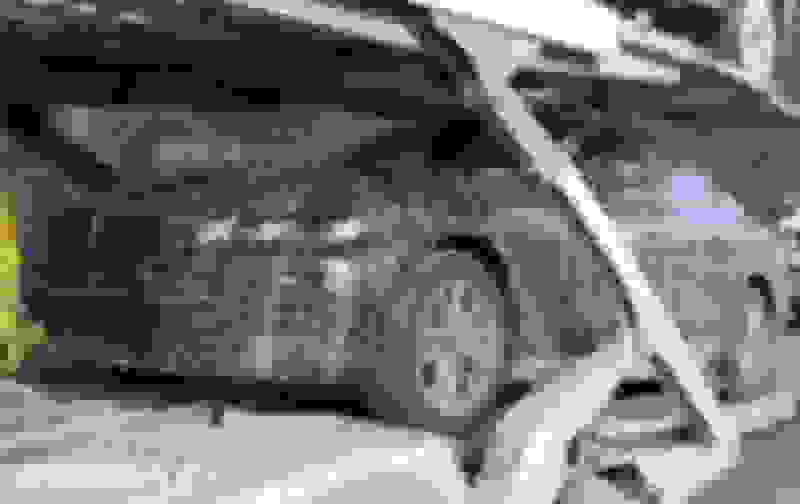 Instead, they look a lot like a 4-Series Gran Coupe. While it's still a little early to draw conclusions about exactly how the i4 will look once it arrives in 2021, it's not surprising BMW would choose a relatively established design direction for its first EV sedan: Early hybrids like the i3 and the i8, purchased by early adopters, needed avant-garde exteriors. Now that the regular BMW buyers are looking at electric cars alongside gasoline-powered cars, something that looks a lot like a 3- or 4-Series is the way to go. "By 2025 we will be offering 25 models with an electrified drive system -- of which 12 will be pure-electric," BMW said during the debut of the i Vision Dynamics concept in 2017. "With the BMW i Vision Dynamics, we are showcasing how we envisage future electric mobility between the i3 and i8: a dynamic and progressive, four-door Gran Coupe." The 2017 concept promised a range of 373 miles (600 kilometers), 0-62-mph launches in four seconds and a relatively tame top speed of 120 mph. One thing that is still unclear is whether the i4 will share a platform with the 3- and 4-Series cars, or whether it will have its own platform. While the profile of the car will be very similar to that of the 4-Series Gran Coupe, expect to see a BMW i family fascia with closed-out kidney grilles (which by 2021 could be quite a bit larger than we're used to if the updated 7-Series is any indication) and some other stylistic and aerodynamic tweaks now that an engine doesn't need to draw in all that air. Expect to see a few blue accents here and there as well, in keeping with the i family design theme. "BMW i is the innovation driver for the BMW Group," Klaus Frohlich, member of the Board of Management at BMW AG for Development, said in 2017. "Here, visionary solutions and future-ready concepts become reality for the first time. But BMW i also acts as a spearhead of innovation for our other brands." When will we see the production version of the i4? Likely in 2020, ahead of the start of sales late that year as a 2021 model. Not anymore ... try 60k now with the G20. True - but I'm wondering if they will close the disparity. Sure electrics are fast so they will have that appeal. But right now you'd pay more for a Tesla 3 that has the amenities and options of a base 3-series. It's like a car with better than BMW speed but Honda interior. But I doubt the i4 will be a Tesla 3 competitor - maybe more of a Tesla S competitor. Will be interesting to see where they try to position it. Well... it will be a Model 3 competitor since it will be closely related to the next 4 series. See below. This BMW prototype spotted on a transport just yesterday is likely the upcoming all-electric BMW i4. And it looks to be based directly on the next generation G26 4 Series Gran Coupe, which body is also seen here for the very first time. Since this is an electric vehicle which does not require front cooling vents or grilles, underneath the front camouflage will be a design that differs from the G26 4 Series Gran Coupe, like the iX3 differs from the X3. 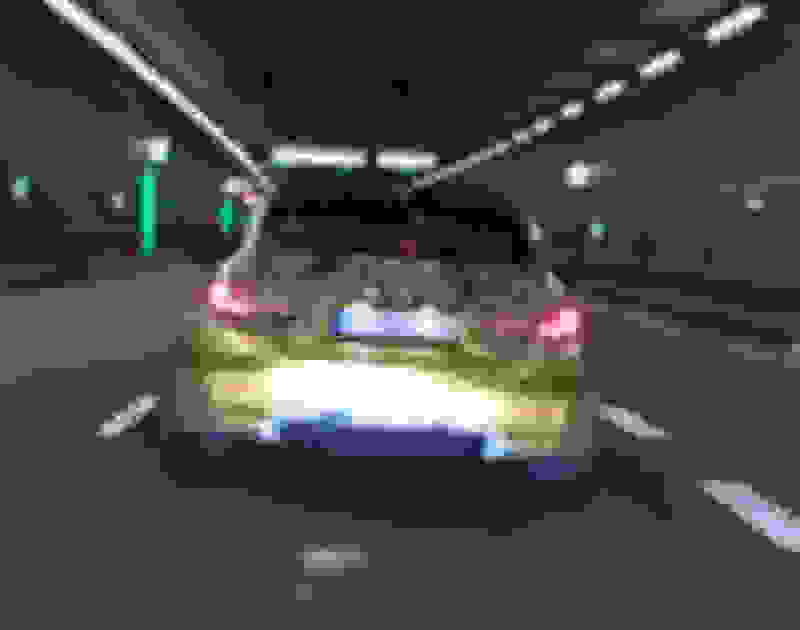 An electric i car also doesn't require exhaust pipes, hence the fake painted tailpipes. Oh and check out the flush door handles. In early 2018, BMW CEO Harold Kruger stated that the upcoming i4 would feature BMW's fifth generation of eDrive technology, which he said "will be able to drive 550 to 700 kilometers on electric power, depending on the model. We will achieve this in the BMW i4 and the iNEXT." That would mean we should expect approximately 340-435 miles of range for the i4. Finally about time Elon and his smug face finally gets to eat crow. Yah, the ability to offer something to compete with Tesla was never if they could, it is just if they want to. Seems like now they do. It'll do a lot more than compete with Tesla. You get a car of the same performance of a Tesla with the driving dynamics and quality of a BMW for the same price. It's a done deal at this point and it'll get even worse as VAG and GM get further into the game and start releasing electric cars that look like cars and not spaceships. Agree - electric speed, BMW driving dynamics, and if they can keep the interior and safety amenities on par with what's current in the 3/4 series, it will be a winner. So long as they can keep the cost in range of a current 3/4 series. I think the one of the biggest plus is the availability of BMW dealer networks... instead of just the 3 or 4 Tesla Service Center within 50 miles in LA. I can only imagine how far people have to drive if you dont live in a metro city. In theory it should be cheaper than the current 3/4 series with far fewer moving parts, components, and assembly time. The new Porsche Taycan is supposed to be cheaper than a Panamera for exactly those reasons. Most of these cars will be leased anyway, MSRP is not as important as the actual leasing programs. For reference: A $45k i3 with range extender can be had for $250 a month with tax included and $2k drive off. While i dont expect these to be anywhere near the i3 price, but i dont think it will be more expensive than their gas counter part. I think they will price it against Tesla Model 3 more than the gas 4 series. Latest on the next M3.... interesting decision on the different size front and rear wheels. Starts production in 2020 (more likely later in the year). Three performance levels: 444hp (Pure), 475hp ("base"), and 500hp (Competition). Pure and base will have 18" front and 19" rear wheels; Competition will have 19"/20" as standard (optional on the other models). Standard equipment for all models will include M diff, adaptive suspension, M seats, Live dashboard. Optional equipment will be pretty much the same as the regular G20, with the notable additions of carbon ceramic brakes (possibly M3 Competition only) and of course Merino leather. 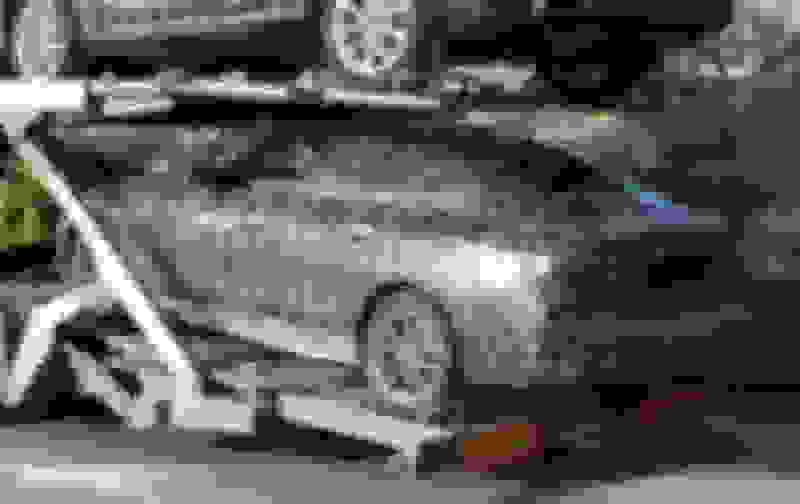 A couple weeks back we got to see the new 2020 Toyota Supra’s BMW B58 straight six engine decoded, and pointed out that while this is a high-level sports car for Toyota, it was getting a mid-level engine from BMW. Well, now here’s the high-level version of that motor—the M division’s S58, good for more than 500 horsepower bone stock. The engine made its debut last night not in a sports car or even a sports sedan but locked away in the globular cages of the BMW X3 and X4 Ms. I’m sure this brings great ire to Supra fans already. Sweat stings their eyes as they read this. Their smart, cultured Supras are making 335 HPstock, while crude, uncultured performance SUVs are doing hard pulls out of strip mall parking lots with an M version of their engine. In any case, let’s get into the specs of the new S58B30T0, the first new M Division straight six in half a decade, as BMWBlog points out. If you’re curious where I’m getting these specs from, they’re straight from BMW spec sheets. The S58’s can be downloaded here, the B58’s technical training PDF can be downloaded here. 3.0 liters, but not exactly the same as the B58. The S58 has a slightly larger bore and shorter stroke (84.0/90.0) compared to the B58 (82.0/94.6). Displacement is technically down five cc, and it’s still an undersquare engine. Theoretically the new engine should have room for bigger valves, better breathing, and should be more rev-happy, but we’ll learn more in time. 7,200 RPM redline, up from 7,000 on the B58. Compression ratio down to 9.3:1 versus the B58’s 11:1. This sounds bad to people obsessed with naturally-aspirated engines, but makes sense to those familiar with running boost. 473 HP and 442 lb-ft of torque in base trim. 503 HP in Competition trim, also with 442 lb-ft of torque. 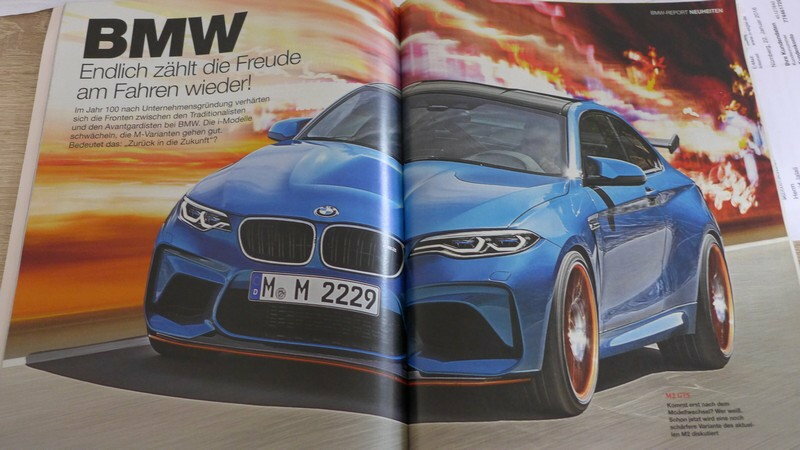 According to the BMW USA media site, max power is made from 5,600 to 7,300 RPM (this is, oddly, above redline) in base trim and 5,950 to 7,300 RPM in Comp trim, though it’s worth noting that the spec pages on the global media site say max power occurs at 6,250 RPM (the bump in the plots below could explain this). Max torque is made from 2,600 to 5,600 in the X3 M and X4 M, but 2,600 to 5,950 in the Competition models. BMW advertises a forged crankshaft on the S58, as well as Valvetronic variable valve timing and Double-VANOS variable cam timing, but the B58 also has a forged crank and Valvetronic and also Double-VANOS, as noted when the B58 won an award back in 2016. The S58 is a closed-deck engine, just like the B58 and also like the Toyota 2JZ. 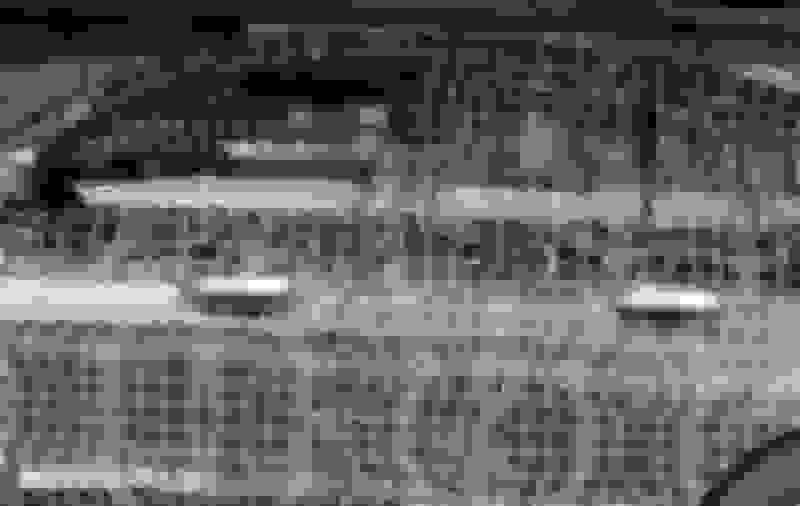 Closed-deck blocks have metal all the way around the cylinder bore rather than open cooling jackets, and are thus stronger. Tuners can read that as more boost-friendly. 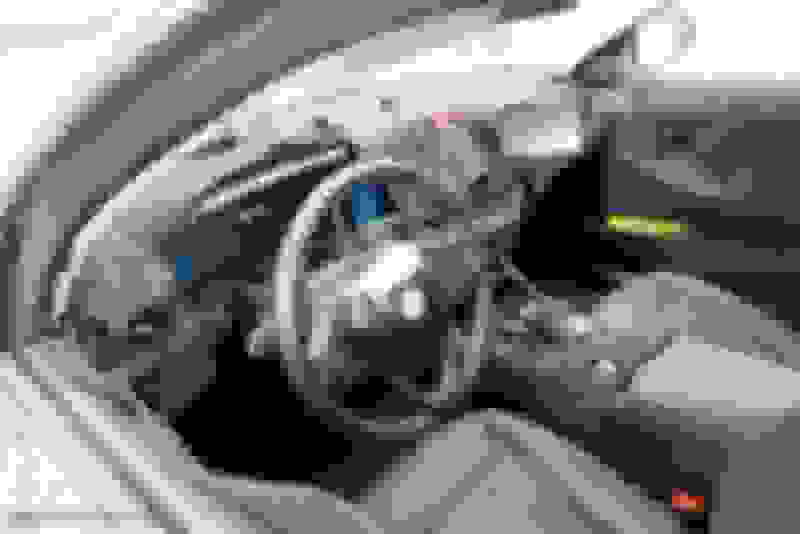 High fuel injection pressure of 350 bar (this is the same as the pressure mentioned in the BMW X5’s B58 specs), which BMW Blognotes offers better fuel distribution and efficiency. New oil pan with more chambers to keep good oil flow in corners. New intercooler that’s “indirect” and doesn’t appear to be mounted right in the middle of the intake as on the B58. Confusingly, BMW also refers to the B58’s intercooler as “indirect,”(likely a reference to the fact that both intercoolers are fed liquid coolant) and it also appears that the S58’s is integrated to some degree, just not right in the middle of things. All of this is to say that BMW was able to turn the B58 into a higher-revving, 503-HP version of itself. 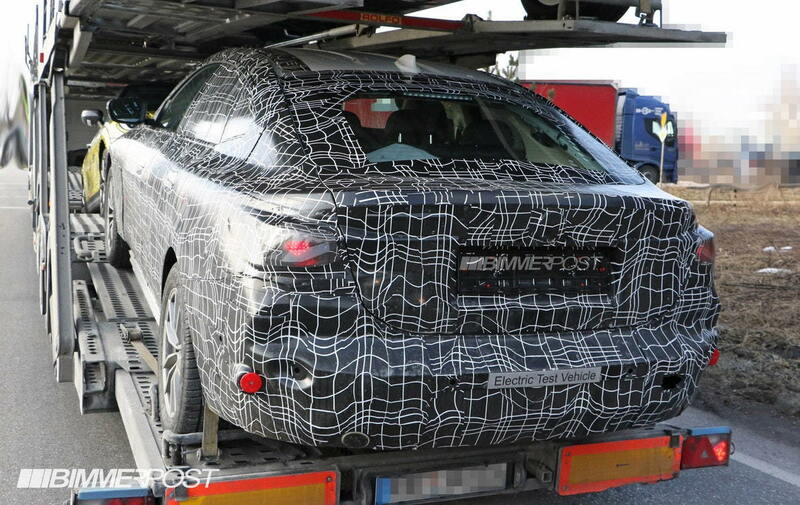 We know it’s going into the X3 and X4 Ms, as well as the next M3 and M4, per BMWBlog. I guess it’s an open question if it would go into the Z4, or Supra for that matter. BMW has already tried to cool down any rumors of that happening. But at the very least this is an interesting dream for an engine swap, or a guide on how much the B58 could be tuned by an individual. Hell, this is something that Toyota could do itself. We laud the old Supras for being able to make high horsepower numbers when tuned, but the idea of a Supra this powerful from the factory would be like nothing before.